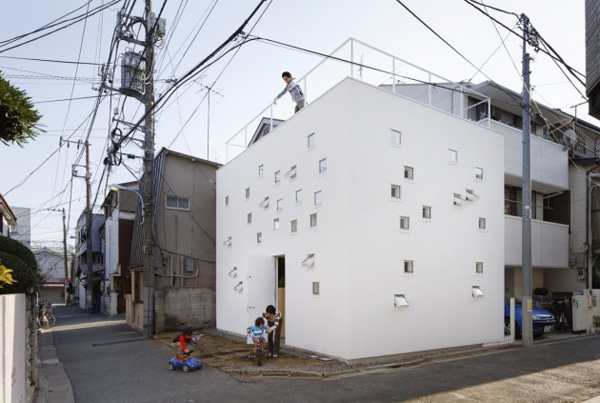 Japanese architecture firm Takeshi Hosaka Architects designed this contemporary Tokyo architecture with a twist. 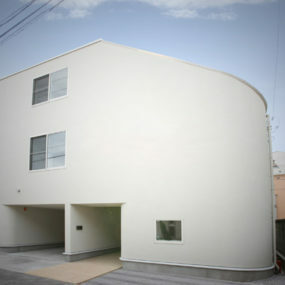 This urban house is located in a dense area, sitting on the corner of two narrow streets. 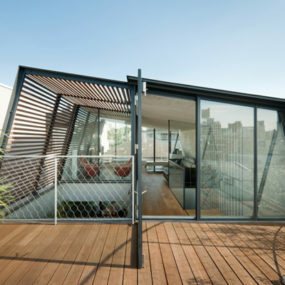 Like its exterior box shape, the interior floor plan is simple – two small rooms on the main floor, one large room on the second, and a rooftop patio overlooking the city. 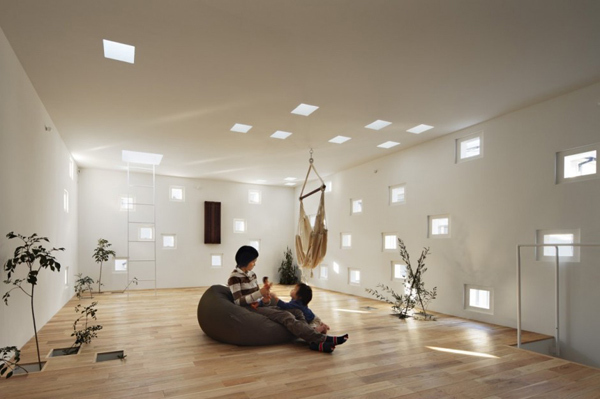 Minimalist interiors feature walls, floors ceilings, randomly dotted with plenty of windows, letting natural light stream in every foot or so apart. 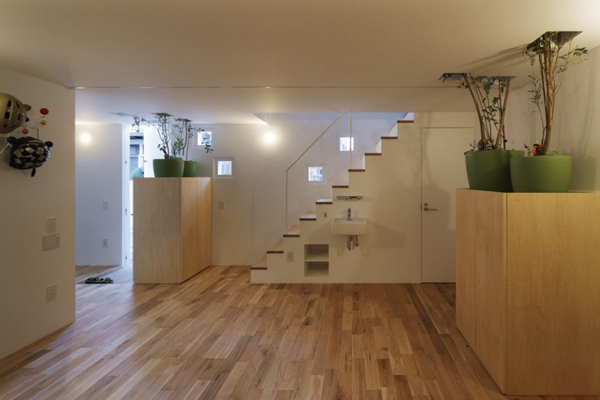 The floor openings allow the passage of strategically placed plants and trees, providing a little lush greenery sprouting up in unexpected places. 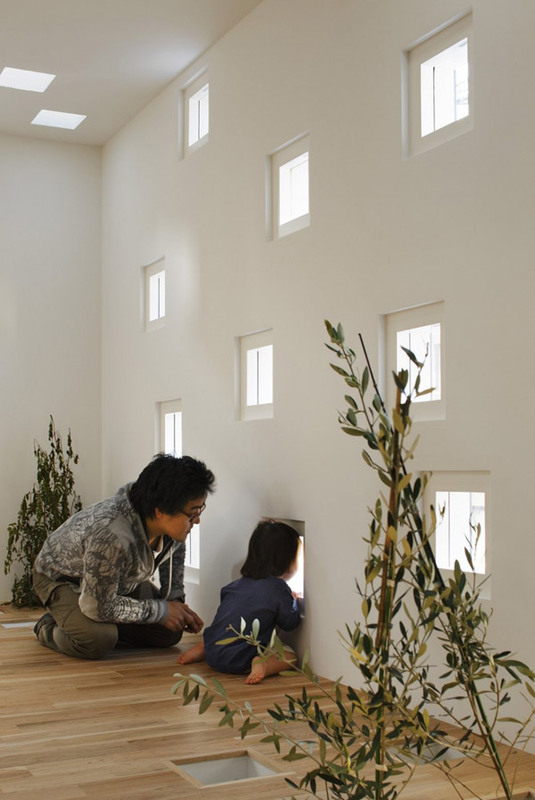 But these openings have more purposes that aesthetic ones – they allow the residents, two children and their deaf parents, to communicate using sign language, from different rooms and even different floors. 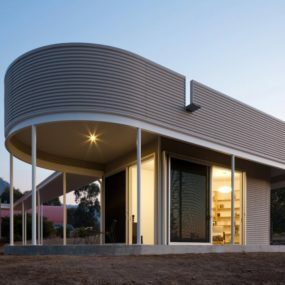 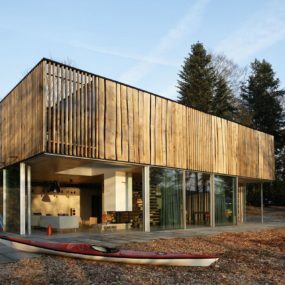 Now, that is an innovative architectural design! 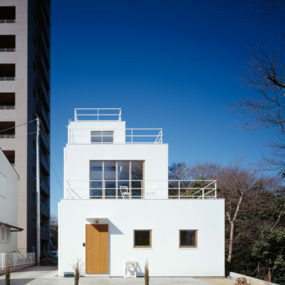 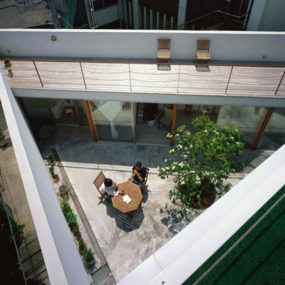 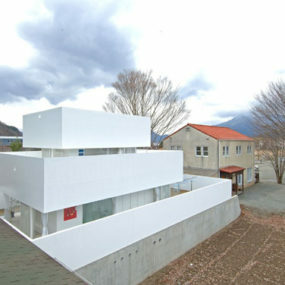 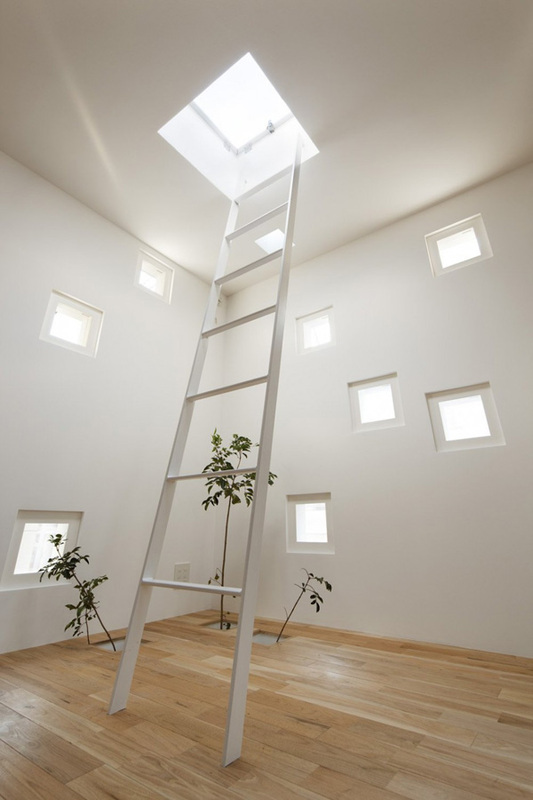 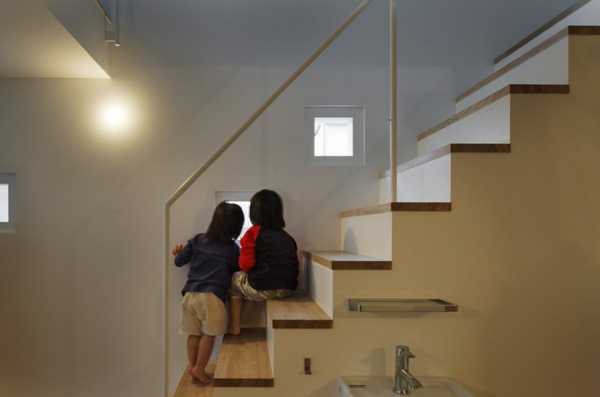 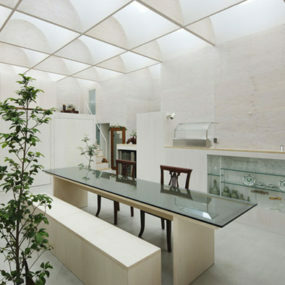 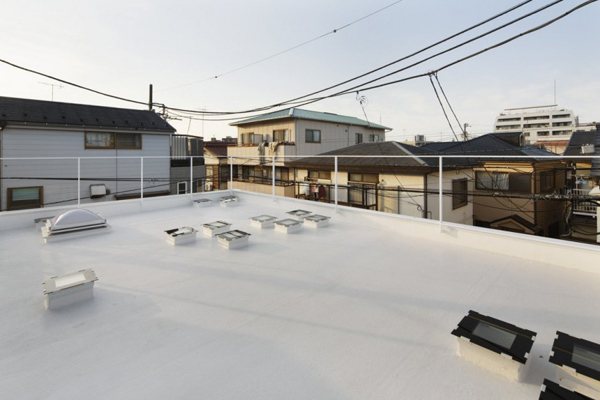 For more cool Japanese houses visit Takeshi Hosaka Architects.